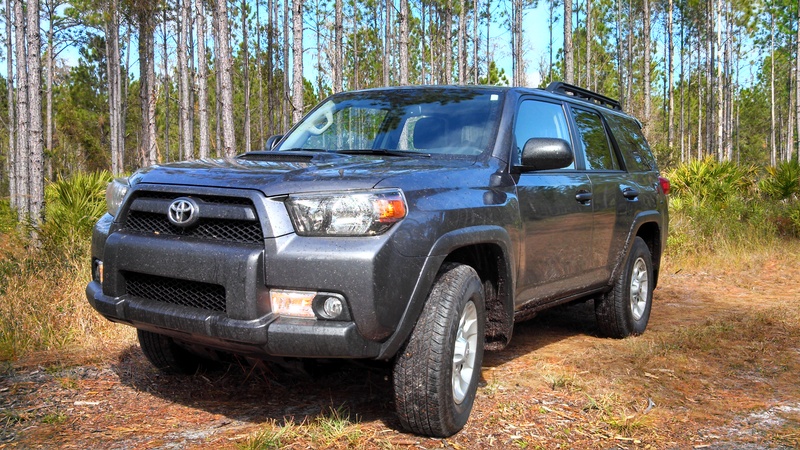 Here’s a first look at the latest Ride of the Week, a 2013 Toyota 4Runner Trail. The 4Runner is one of the few remaining true SUVs. It’s a body-on-frame vehicle with available part-time or full-time four-wheel drive, a powerful standard V6 engine and a 5-speed automatic transmission. Optional third-row seating allows space for seven passengers, but most 4Runner drivers will prefer to maximize cargo space with the five-passenger configuration. The 2013 Toyota 4Runner is priced starting at $31,490 plus destination for the SR5 4×2. Figure an MSRP of about $45,000 for a well-equipped, top Limited trim example. The 2014 4Runner is already in dealer showrooms, priced a bit higher than the comparable 2013 model. Still, it’s not too late to get a brand new 2013 model as of publication, although the latest 2014 4Runner includes updated styling and some new standard equipment. Toyota offers three grades: SR5, Trail and Limited. 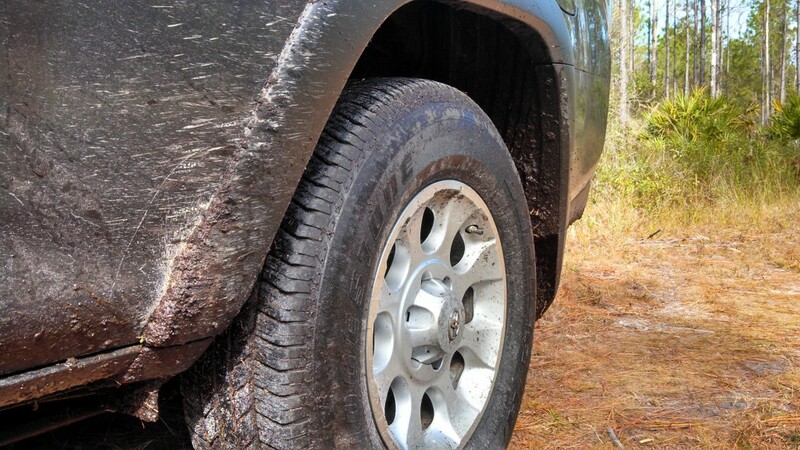 The 4Runner Trail test vehicle is the off-road focused version and, personally, my favorite. While so many SUVs have gone soft, the 4Runner remains one of the few body-on-frame trucks with real off-road capability. The Trail grade does what the 4Runner does best with part-time four-wheel drive and useful off-road features like crawl control and a locking rear differential. Truck-like construction means those looking for car-like ride and handling should look elsewhere. 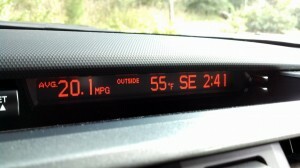 I love the way the 4Runner rides and drives, but it’s not for everyone. 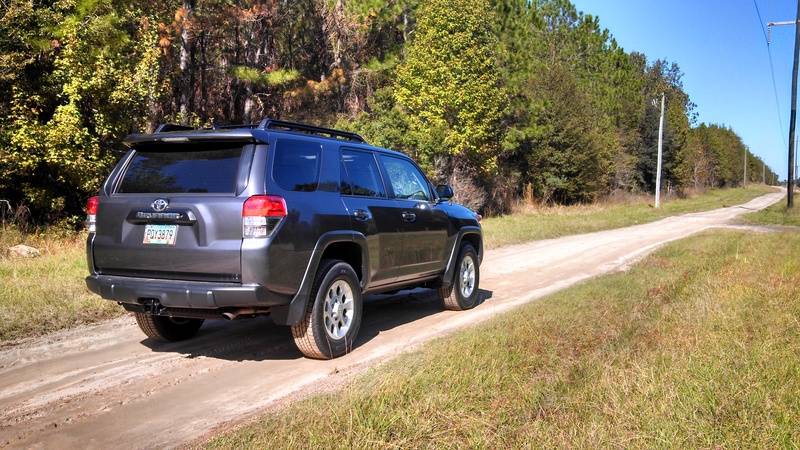 The suspension is firm, delivering road imperfections to passengers’ backsides, and the 4Runner’s high center of gravity contributes to considerable body roll. But 4Runner drivers sacrifice a silky ride and sharp handling for the ability to go places most crossovers cannot. For the outdoor adventurer, the trade-off is a no-brainer. The ride may be a bit rough, but the 270-horsepower V6 and 5-speed automatic transmission are anything but, swiftly and smoothly carrying the 4Runner to speed on the road or delivering ample torque off-road. 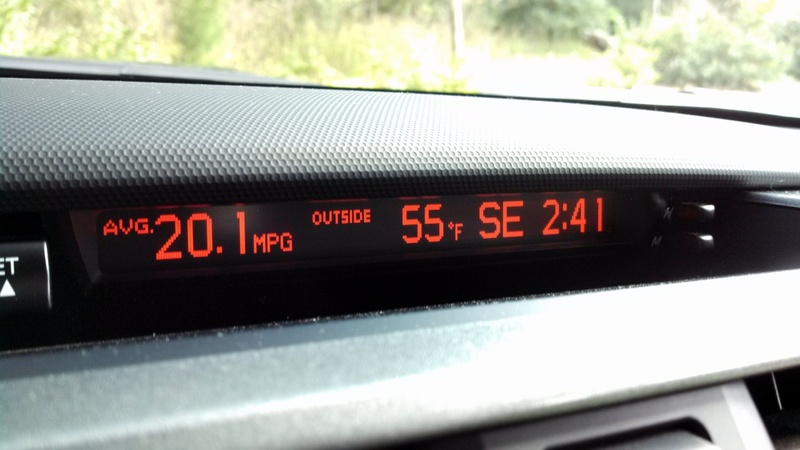 We took the 2013 Toyota 4Runner Trail on a 340-mile road trip and recorded average fuel economy of 20 mpg, just 1 mpg shy of the EPA highway fuel economy rating. In addition to the part-time 4-wheel drive system, standard equipment for the 2013 Toyota 4Runner Trail includes roof-rack rails and tow package, 8-speaker audio with Bluetooth, a backup camera and a moonroof. Optional equipment on the test vehicle includes Toyota’s Display Audio with navigation and Entune plus the Kinetic Dynamic Suspension System that improves low-speed off-road maneuverability. Including carpet mats, a cargo cover and destination charge, the bottom line on the test vehicle is $41,403.